My 6 year old daughter recently started taking violin lessons. As a music teacher myself you'd think it would be simple for me to motivate my own children to practice. It isn't. But now that we've got several months under our belt we've gotten into a good rhythm, and I've been able to see which of the practice strategies I teach my students actually work at home. 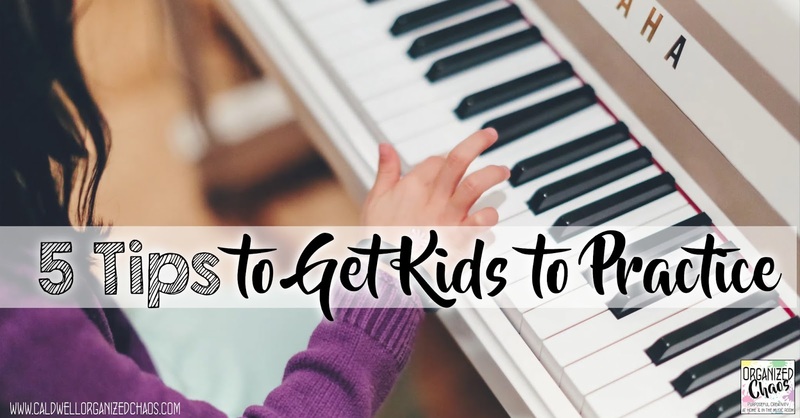 Today I wanted to share my top tips for getting kids to practice their instrument without making it a stressful chore! My favorite tip for getting kids to practice more frequently is to have the instrument, sheet music, stand, and anything else they need to practice readily available in a place where they will see it. I keep my daughter's violin in a corner of our dining/ living room where we spend most of our time, so it is always right there. I tell my students at school to take out their instrument and put it in the living room or bedroom as soon as they get home, even if they aren't planning to practice right away. If their instrument requires assembly, I tell them to get it out of the case and put it together right away as well. Now all they have to do to start practicing is pick up their instrument! 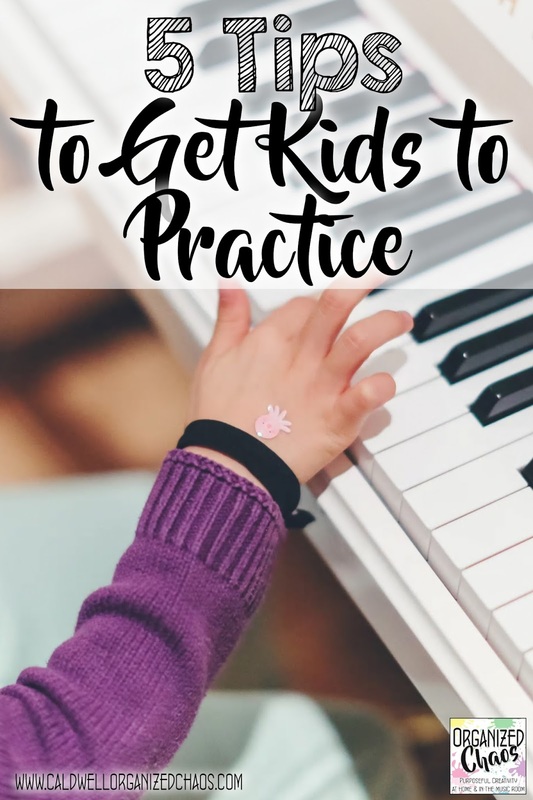 Not only does it make kids more likely to remember to practice, but it will seem like less of a chore to do so if they don't have to go anywhere or do anything to get started. I think most adults know that simply telling a child to "go practice" does no good- they have to know what to do for how long and in what way! If their teacher doesn't do this already, ask them to help you make a list of specific things to work on each week, then make a chart with each of those items listed and space to check off (or add a sticker etc) each item each day that they practice. Just like with anything else, taking breaks can not only help keep energy up but it will also help the brain learn better. For young kids who are probably spending shorter amounts of time practicing, this may mean taking 1 or 2 days off from practicing each week. For older children who are expected to practice more material each week/ day, this may mean breaking up each day's practice session into smaller chunks. If the child sits down to practice but is too distracted by something else, in a foul mood, or too tired, trying to force them to continue is wasted effort in my opinion. Better to walk away, do something different, and try again later. The more we can keep playing their instrument something they want to do because it's fun, the better! Want more insights, inspiration, and ideas sent straight to your inbox? Click here to sign up for the Organized Chaos Newsletter. Bring Spring to the Music Room!